The Royal Photographic Society of Thailand and Bangkok Art and Culture Centre, in collaboration with Sundaram Tagore Gallery, are pleased to present Sebastião Salgado: The World Through His Eyes, an exhibition of iconic black-and-white images selected from the celebrated photographer’s most influential series: Workers (1986–1992), Exodus (1993–1999) and Genesis (2004–2011). A portfolio of prints titled Other Americas will also be on view. 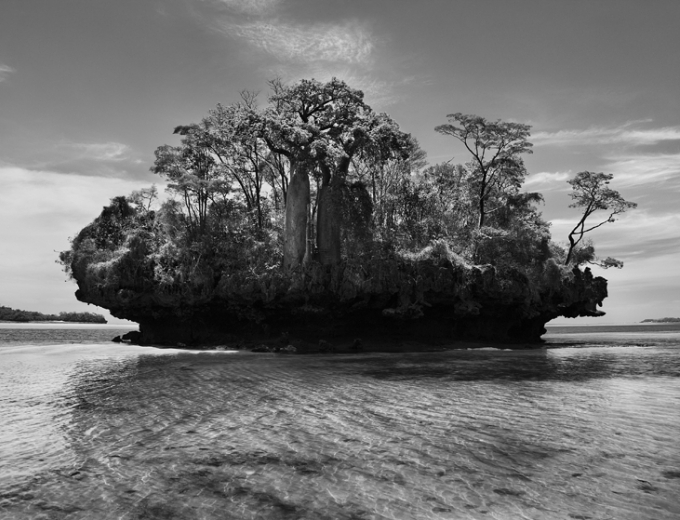 This is the first major presentation of Sebastião Salgado's work in Thailand. Sebastião Salgado is one of the word’s greatest living photographers. In the past three decades, he has traveled to more than 100 countries for his photographic projects. Breaking down barriers, he lives with his subjects for weeks, immersing himself in their environments. He sees himself as a participant entering their story. Salgado describes this approach as photographing from inside the circle. Each of his images is infused with empathy and respect for his subjects. Within a single frame, he captures the fragility and the fortitude of the human spirit. In the mid-1980s, Salgado began photographing the essential work of manual laborers in every industry. On the cusp of the new millennium, he found that the kind of physical work that so much of the world’s population depended upon for their livelihoods was threatened by mechanization and technological advances. The resulting Workers series became what he called “a visual archaeology” of the Industrial Revolution and marked the twilight of an era when men and women still worked with their hands. Workers brought Salgado to every corner of the world and became his first truly global project. From bicycle factories in China, to sugarcane and tobacco plantations in Cuba, to shipbreaking yards in Bangladesh, the images from Workers became instantly iconic and cemented Salgado’s reputation as the world’s photographer. In his Exodus series (also known as Migrations), Salgado documents the mass displacement of people across 35 countries as a result of social, political, economic and environmental disparities. These prints lay bare some of the bleakest moments of modern history. Genesis, a series that was eight years in the making, comprises hauntingly beautiful photographs of majestic landscapes, serene wildlife and ancient civilizations untouched by modern society. Salgado made more than 32 trips, capturing remote realities and paying homage to unspoiled nature: surreal icebergs in Antarctica, the isolated Zo’é tribe in Brazil and Africa’s native animals in Kafue National Park, Zambia. In 2013, the exhibition Genesis began touring the world, showcasing more than 200 works from the series. This landmark exhibition debuted at London’s Natural History Museum and was one of the museum’s most visited shows that year. It then traveled to numerous prestigious cultural venues around the world, including the National Museum of Singapore, where it was extended after four months due to record attendance. Genesis made its American debut in 2014 at the International Center of Photography in New York. A special portfolio of 20 prints from Salgado’s Other Americas series will also be on view. He began this body of work in 1977, fueled by a desire to return to Latin America after years of adventure in Africa and Europe. He spent seven years making images in Brazil, Chile, Bolivia, Peru, Ecuador, Guatemala and Mexico. The images in the portfolio were compiled and printed in 2014. A printed catalogue accompanies this exhibition and a selection of photographs from the Genesis series is available in a book of the same title published by Taschen (2013). The exhibition at the Bangkok Art and Culture Centre will be on view in conjunction with bi-weekly screenings of The Salt of the Earth, the award-winning documentary about Salagdo’s work directed by Oscar-nominated filmmaker Wim Wenders and Juliano Ribeiro Salgado, the photographer’s son. Admission is free. Sebastião Salgado will speak about his work on February 8 in the 5th floor auditorium of the Bangkok Art and Culture Centre. Please check the following website for updates: http://en.bacc.or.th. Salgado has traveled to more than 100 countries for his photographic projects. Beyond press publications, his work has been presented in books such as Other Americas (1986), Sahel: l’homme en détresse (1986), Sahel: el fin del camino (1988), Workers (1993), Terra (1997), Migrations and Portraits (2000), Africa (2007), Genesis (2013) and The Scent of a Dream (2015). Touring exhibitions of this work have been, and continue to be, presented throughout the world. In 2013 the book De ma terre à la Terre (From my land to the planet), a narrative account of Salgado’s life and career, was published, and in 2014, the documentary film The Salt of the Earth, directed by Wim Wenders and Juliano Ribeiro Salgado, was released. In 2016, the book Kuwait: A Desert on Fire was published by Taschen. It comprises a series of photographs taken in 1991 documenting the torched Kuwaiti oil wells— the result of the Gulf War during which the United States-led coalition drove Iraqi forces out of Kuwait and Saddam Hussein’s troops retaliated with an inferno. Sebastião Salgado has been awarded numerous major photographic prizes in recognition of his accomplishments. He is a UNICEF Goodwill Ambassador, and among other distinctions, an honorary member of the American Academy of Arts and Sciences. In April 2016, Salgado was elected member of the Académie des Beaux-Arts of the Institut de France, for the seat previously occupied by Lucien Clergue. In July 2016, he was named Chevalier (Knight) de la Légion d’Honneur, France. Together, Lélia and Sebastião have worked since the 1990s on the restoration of a small part of the Atlantic Forest in Brazil, in the state of Minas Gerais. In 1998 they succeeded in turning this land into a nature reserve and created the Instituto Terra. The Instituto is dedicated to a mission of reforestation, conservation and environmental education. The Royal Photographic Society of Thailand is the oldest and most prestigious photographic society in Thailand. Founded in 1959 by a group of photography enthusiasts to promote the art of photography, with Mr. Rattana Pestonji as the first president, the society came under the royal patronage of His Majesty the King in 1961. It remains active to this day and memberships are open to all throughout the world. The Bangkok Art and Culture Centre (BACC) is a new mid-town facility for the contemporary arts. Programs for art, music, theatre, film, design and cultural/educational events take place in a friendly and recreational atmosphere, with a cafe, restaurants, bookshops and an art library being part of the facility. The BACC aims to create a meeting place for artists, to provide cultural programs for the community giving importance to cultural continuity from past to contemporary. It aims to open new grounds for cultural dialogue, networking and creating new cultural resources from both the public and the private sectors. It is intended as a venue for cultural exchange in terms of content, curatorial and cultural management, giving Bangkok an operational base on the international art scene. Established in New York City in 2000, Sundaram Tagore Gallery is devoted to examining the exchange of ideas between Western and non-Western cultures. With spaces in New York City (Chelsea and Madison Avenue), Singapore and Hong Kong, the gallery focuses on mounting exhibitions and hosting not-for-profit events that encourage spiritual, social and aesthetic dialogues. With alliances across the globe, the gallery’s interest in cross-cultural exchange extends beyond the visual arts into many other disciplines, including poetry, literature, performance art, film and music.